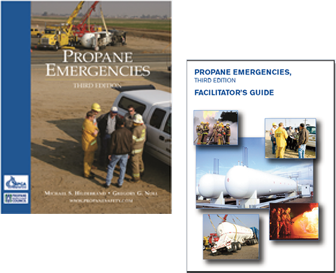 The Propane Emergencies program has grown significantly since its inception in 1998, from a textbook written by Greg Noll and Michael Hildebrand to a comprehensive training program developed by Michael Callan. Propane Emergencies has been adopted by 27 state firefighter training agencies and propane marketers. Mike Callan has also conducted numerous train the trainers around the United States from 1998 to 2007. For more information on Propane Emergencies or the Propane Education and Resource Council click below.